With over 20 years of window cleaning experience, the professionals at Southwest Ultra Clear are dedicated to providing flawless window cleaning solutions for commercial and residential clients. 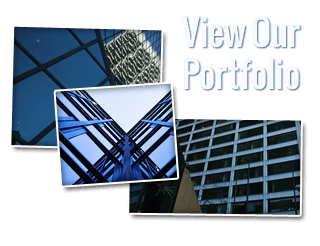 Including highrise window cleaning services, we have the skilled staff and proper equipment to safely and effectively clean your property’s windows – inside and out. The greatest benefit you’ll receive when choosing Southwest Ultra Clear is hassle-free, affordable service that you can depend on. We understand that your business must maintain a professional appearance at all times. Clean bright windows make a first and lasting impression. So if you don’t look good, then that is a poor reflection on us. When only the best will do for your office exterior, trust the professional window cleaners at Southwest Ultra Clear to make your windows shine every time! Office window cleaning is a challenging & dangerous job. It takes skilled experienced pros who know how to navigate from window to window while elevated several feet into the air. At Southwest Ultra Clear you can be confident that we only use the safest equipment and employ highly trained professionals to clean every story of your highrise. 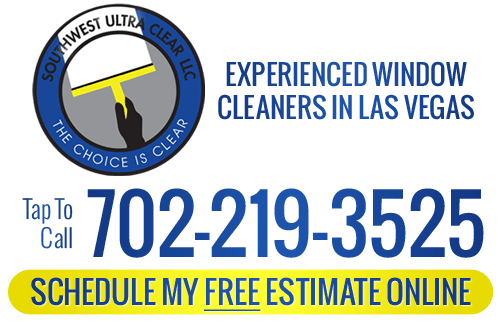 We are a licensed and insured window cleaning service with a solid reputation with home and business owners in Las Vegas. Partially clean window fronts are not attractive. With Southwest Ultra Clear we have an all or nothing approach to every company we serve and every window we wash. We guarantee thorough window cleaning from top to bottom. You can count on consistent spot free glass across your entire building. Let the sun shine in with our Las Vegas window cleaning service! Contact us today for a free estimate. For cleaning jobs that require professional assistance, Southwest Ultra Clear pressure washing service is your solution. We can tackle even the most difficult cleaning detail and have your building or surface looking brand new once again without damaging your property’s finish. Our pressure washing equipment is state of the art and can easily accommodate any project. We carry a combination of hot/cold washers and soft-washing equipment which allows us to clean more efficiently than our competitors without sacrificing the high quality service that we offer. This saves you time and money and leaves you with a renewed building. We offer a full range of services that cover all of your office cleaning needs. In addition to commercial window cleaning, we also offer residential window cleaning for large and small homes. Our Las Vegas window cleaning services cover both interior and exterior windows. We’ll have your home’s windows sparking!